Lush hair is one of the upsides of pregnancy and it’s what contributes to that glow that expecting moms have. However, what follows lush hair after pregnancy is a mane that has brittle hair falling here and there. Luckily, I found a shampoo that worked wonders for me. Best of all, it was organic which made it safe for breasfteeding moms. Remember my Mucota treatment experience at Tony & Jackey? The treatment was organic and it left my hair brimming with life. To make the results last, we were advised to use the Mucota shampoo. After using the Mucota shampoo, my hair became smooth and silky. It didn’t dry my hair so I could do with just using the shampoo. It was a clear liquid and I simply loved the scent, it had a sort of mild, juicy scent. The results were great but I am not too keen on the price, it’s not something I can afford to frequently use. However, it has yet to run out yet since I try to use as little of an amount as possible and since I use it in combination with other shampoos. 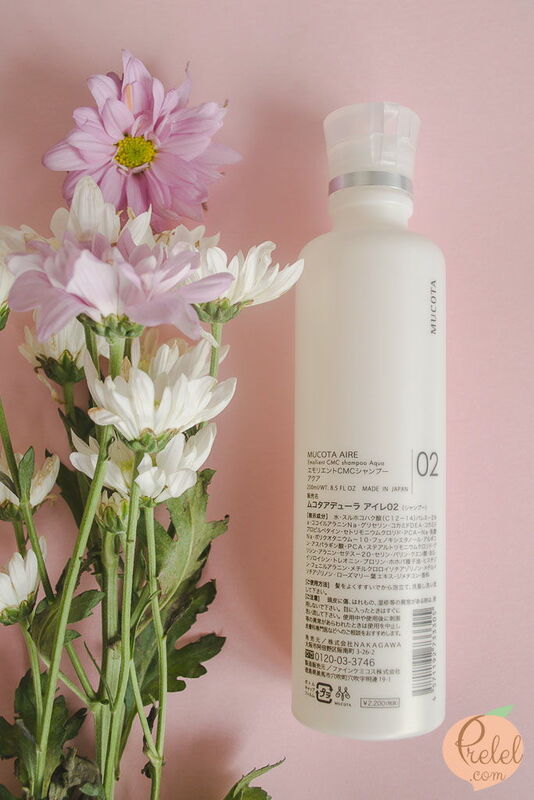 The Mucota Aire Shampoo is available at T&J Salon Professionals by Tony & Jackey. Read my Dr. Monster 2-in-1 Mask Review.